Oh no she didn't make another weird product post! I swear, I wouldn't be frequently inviting you to the kook-fest if I weren't constantly finding such a bizarre bounty of knickknackery. This post features three products which are both peculiar and perfectly putrid. Your eyes do not deceive you. 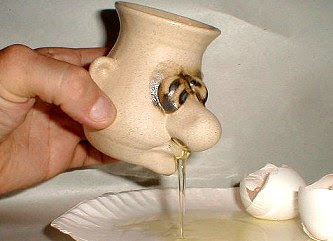 This is the Peter Petrie Egg Separator. When you want to enjoy a little egg white omelet with your pile of bacon, crack open the little eggie and let the egg-white snot drain into your breakfast bliss! The site describes the appetizing process in this manner: "While the yolk is blocked by the nose, the albumen tastefully drips through the nostrils and into your bowl." Delicious. 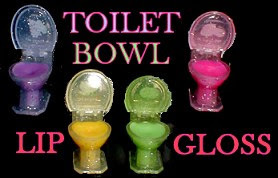 Since the cackleberry snout-siphon wasn't repulsive enough to stop you from reading, you are now rewarded with a fine collection of Toilet Bowl Lip Glosses. Dry, cracked lips can be uncomfortable and unattractive. Why not glide your finger across this handly little cosmetic commode, stuffed with sweet, strawberry sheen. 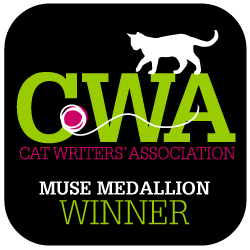 Oh, and guess what?! It's also a keychain! Your lips will never feel crappy again. Want to chill your beverage and freak out your friends? Consider the Frozen Smiles ice cube tray. This tray produces ice in the shape of life-sized dentures. What looks more refreshing than a set of frozen false teeth floating in an effervescent glass of 7-Up? You know what would be even funnier? Denture-shaped Jello-shots. Those teeth ice cubes are a 'MUST HAVE'! I want one of everything here.